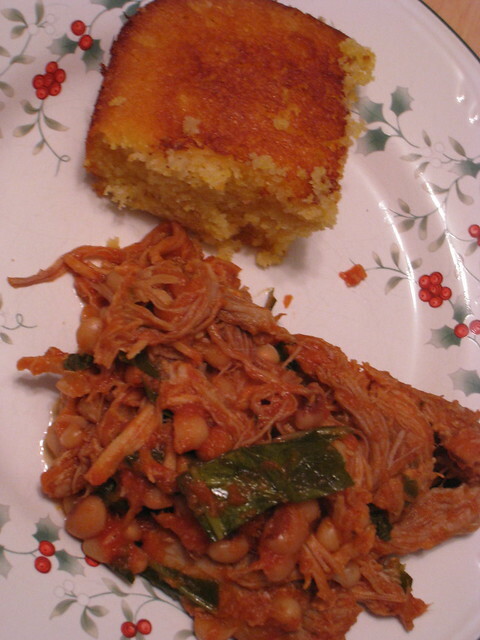 I hear it’s good luck to eat black-eyed peas and collard greens on New Year’s. We had ours a day late, but I’m sure whichever anthropomorphic personification in charge of Luck is okay with that. Place all ingredients in slow cooker, and cook on low for about 6 or 7 hours. Serve hot with corn bread. It was AWESOME. Even the kids ate a bunch of it. Next Post Blaargh. Rough Morning.